Drinking and talking about the reformation of a classic Utah brewery. 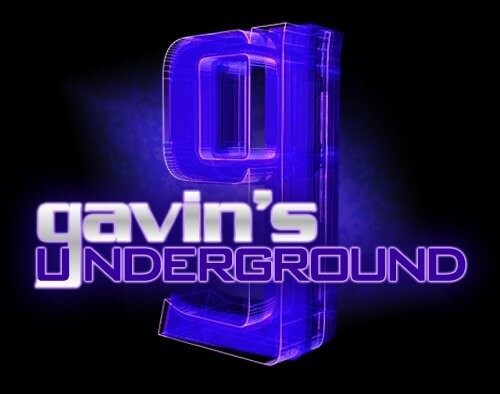 Gavin: Prior to the brewery, what had each of you been doing for careers and whatnot? Colby: Tim Dwyer and Tom Fisher Riemondy are both engineers and spent time working in the wind energy business. Basically, they would roll into some remote corner of the country armed with a tool box and a pickup truck and erect 200-foot towers that measured wind speeds and other scientific stuff in order to see if a wind project ought to be built. Steve Brown has been working for the better part of the past decade in Salt Lake's restaurants and bars. For seven years he worked at Desert Edge Brewery. I got my start working in the beverage business at Longoria Wines in Santa Barbara County, California. I then went to work as an assistant brewer at Santa Barbara Brewing Company, then Desert Edge Brewery, then Uinta Brewing Company. I've also been a newspaper reporter. What sparked each of your individual interests in beer and brewing? 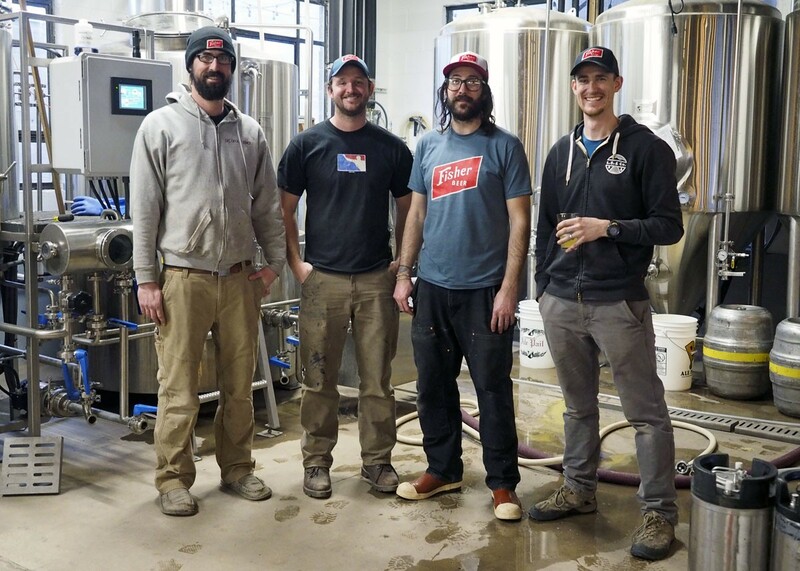 Tom and Tim have been home brewing together for more than a decade. Steve is also a home brewer. I never home brewed much. But I guess I would say that much of our interest in brewing beer flows from the fact that we all dig drinking beer. We're just a bunch of beer drinkers. How did each of you come to meet each other and become friends? Tim and Tom grew up skiing together at Brian Head, near Cedar City. I met Tim in college, and I met Steve when we were both toiling away at Desert Edge Brewing Company. I saw a video that talked about brewing beer at a place called the Howdy Pad. What sparked the interest in home brewing at the time? We wrote the business plan for A. Fisher Brewing Company four years ago. During those four years, we attempted many times to dial in the recipes that we hoped to brew if we ever were successful at opening our own place. Tim's house on Douglas Street, which he bought in college, had a big back yard and was the perfect place for us to hang out, drink beers and brew beers. Also, it is indeed called the Howdy Pad. That's just how it is there. When you walk in the door, Tim yells "Howdy!" What were some of the beers you made and how was it learning the process together? We all dig hoppy beers—pale ales, IPAs, etc. So we worked hard on our hoppy beers: the white pale, pale ale, red ale, etc. We also worked really hard to develop a recipe for the Fisher Lager. Sometimes the beers worked, sometimes they didn't. Most did, though. A notable example of failure involved the red ale, which was several shades of murky brown before it became the red you'll see in your glass today when you visit A. Fisher Brewing Company. For those who aren't aware, tell us the history of the original A. Fisher Brewing Co. in Utah. 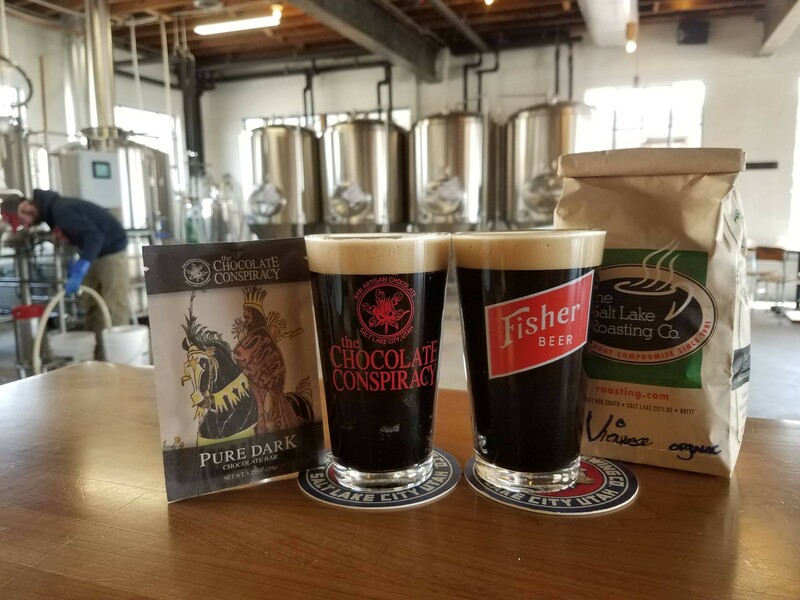 The short version goes like this: In the late 1800s, a German immigrant named Albert Fisher started A. Fisher Brewing Company in Salt Lake City. The brewery thrived until prohibition forced its closure. The brewery survived prohibition and came back strong, brewing tends of thousands of barrels a year until the middle 1960s when, after a series of acquisitions by larger breweries, was shuttered for good. What was the motivation for wanting to bring the brewery back? First off, Tom is the great, great grandson of Albert Fisher. Over the years, Tom's cousin, Dan Graham, had cultivated a sizable collection of Fisher Beer memorabilia and had also maintained website domains, state trademarks, etc., in the hope of one day resurrecting the brand. We all put our heads together, filed for the federal trademark, and the rest is quickly becoming history. Basically, though, we all wanted to open a brewery and, well, why the hell not call it A. Fisher Brewing Company. How did you go about finding the space in the Granary District? It was a multi-year process that involved frustrating real estate negotiations. Our idea was to find a place (not necessarily in the Granary District), but any place in the city where we could do what we wanted to do and create the space we wanted to create. Industrial buildings came to mind, and the Granary District has its fair share. We ended up where we are, though, because of Tony Senior, who owned an auto shop here, was ready to sell off his wrenches and move to Mexico. He sold the building to us, and here we are. 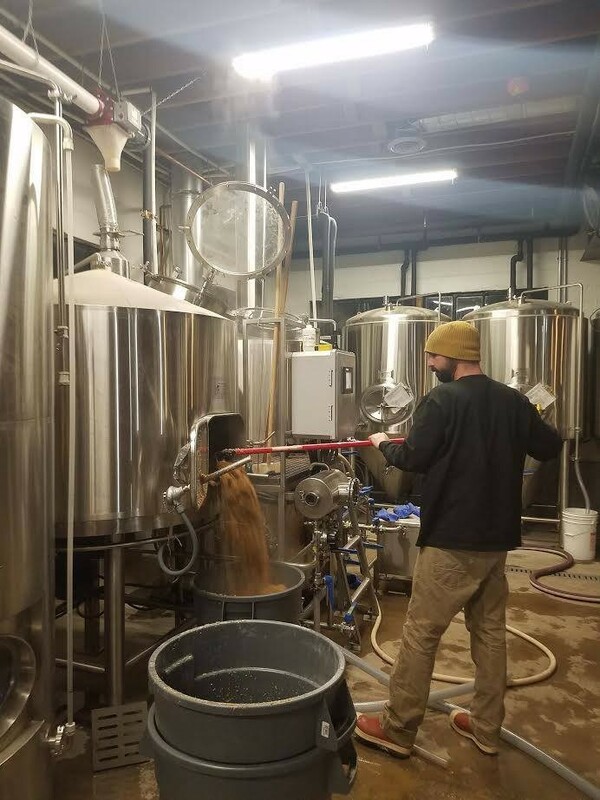 What was it like buying the equipment you needed and converting the auto shop into a functional brewery? We took over the building on March 14, 2016. So it's been just over one year. It has been a great process—super fun and rewarding. We started by ripping the sheet rock off the ceiling, exposing the wooden joists. We jackhammered concrete, dug the holes for our drains. We did a lot of the grunt work, and some of the finish work, too. We had super talented architects and a contractor that nursed us along the way. It was a pretty amazing team effort. Our brewhouse and fermenters were made in Canby, Oregon, by Global Stainless, which is now a subsidiary of AAA Stainless—both reputable brewery makers. They did a great job making our gear. When it was finished, we rented a pickup and 20-foot trailer and drove to Portland to pick our stuff up. You had launched a Kickstarter to help with the funding. What did you think of the response you received? Man, we got such a great response. I think we funded in a few hours, and from there, the numbers just kept ticking upward. Those funds were put toward the finishing touches of our taproom (chairs, tables, etc.). We have a lot of great friends and supporters, and it was great to see that so many people were excited to see this brewery get going. 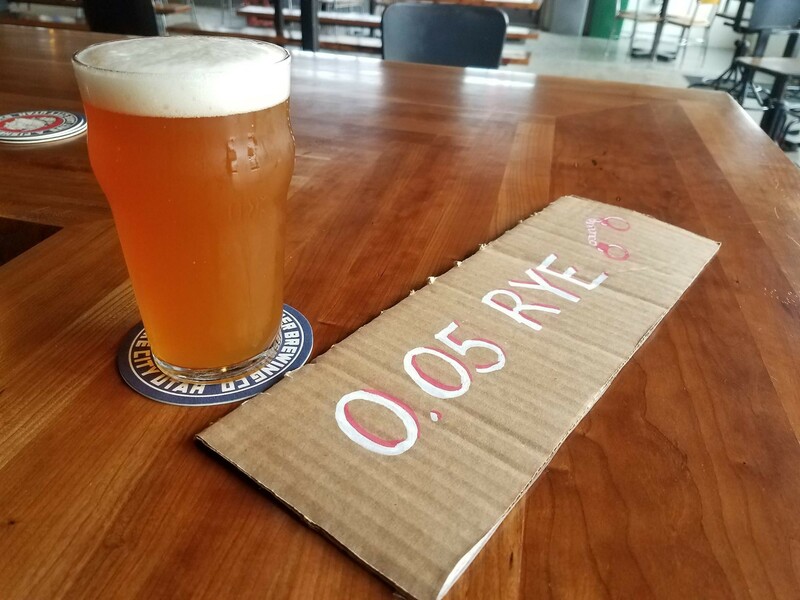 What beers did you decide to go with for your initial rollout? 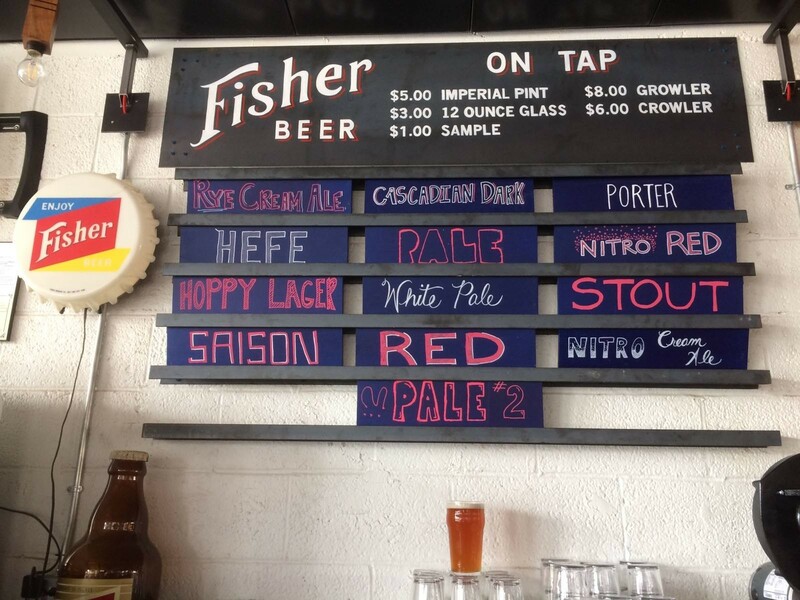 We rolled out with the Fisher lager, a hoppy red ale, a hoppy white ale, a pale ale, a Cascadian Dark ale, a stout, a nitro red ale, a hefeweizen, and a Saison, porter. We also had a beet Saison, a juniper berry Saison, and a grapefruit hefeweizen. We like to have a lot of beer on tap. How has it been for you working with the state and getting everything finalized to produce and sell beer here? What kind of distribution will you have moving forward? We have worked very closely with the city and the state to make sure that we were doing everything they wanted us to do. Honestly, the folks working at the state are great, as are the folks at the city. They helped us through the process, and here we are. 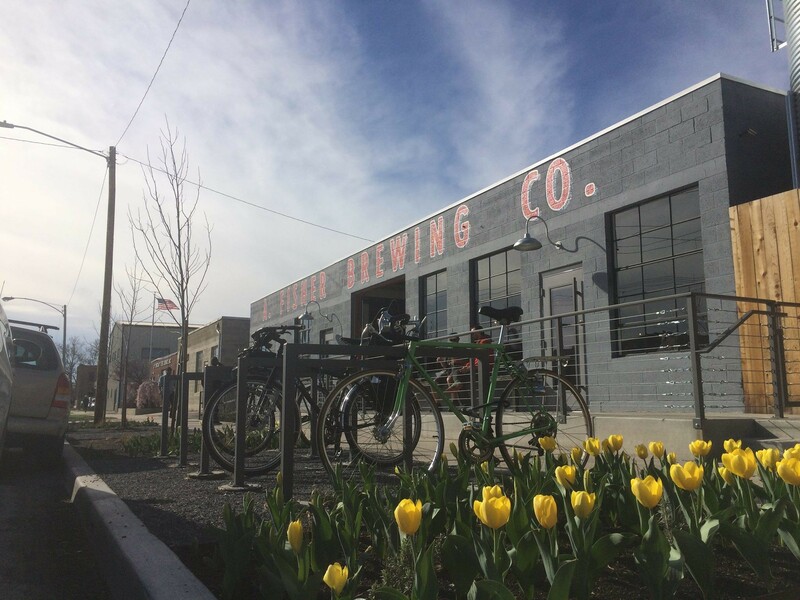 As for distribution, right now, you can buy Fisher Beer at our taproom, located at 320 W. 800 So. We don't distribute any of our beer, but might someday. As we've been talking about, you have a taproom in the building. For those interested, what can they come do as far as tastings and tours? Yeah, come here and drink our beer. The brewery is on full display. You can watch me brew, heckle me, whatever. So, no real reason for tours since having a beer here is kind of like taking a tour. The last Fisher Beer to be sold in Utah was 1967. How does it feel bringing it back right at the 50-year marker? It feels great. That beer, the Fisher Lager, meant a lot to people. Folks who remember it are still a bit pissed that we ran out two days after opening, but we have more on draft right now and will be brewing some more soon. Starting a business seems risky to me. We suspected that we were going to create a place that people would want to drink beer in. But until we opened our doors on day one, we really didn't know if we were right or not. So, it's been very rewarding to see that people dig the beer and the place. We all worked very hard, and continue to do so. What can we expect from Fisher Brewing over the rest of 2017? We're just going to keep pumping great beer through our taps. 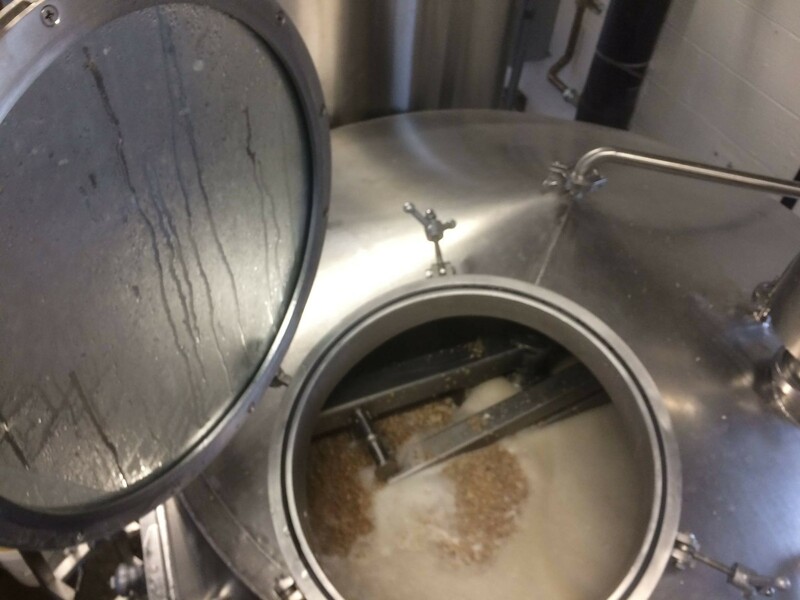 Sometimes we wake up in the morning and decide to brew a beer we've never brewed before. Ideally, you'll come to Fisher Brewing Company and find that the beer menu is constantly evolving. Also, we often have a food truck here, so the menu always changes, too.